Indira Gandhi née: Nehru; (19 November 1917 – 31 October 1984) was the Prime Minister of the Republic of India for three consecutive terms from 1966 to 1977 and a fourth term from 1980 until her assassination in 1984 – a total of fifteen years. She was India’s first female Prime Minister. In 1999, she was voted the greatest woman of the past thousand years in a poll carried by BBC News, ahead of other notable women such as Queen Elizabeth I of England, Marie Curie and Mother Teresa. Born in the politically influential Nehru dynasty, she grew up in an intensely political atmosphere. Despite the same last name, she was no relation to the statesman Mohandas Gandhi. Her grandfather, Motilal Nehru, was a prominent Indian nationalist leader. Her father, Jawaharlal Nehru, was a pivotal figure in the Indian independence movement and the first Prime Minister of Independent India. In one early photograph (above), she was sitting on the bed of Mohandas Gandhi as he recovered from one of his fasts. From an early age, she took as a political role model, Joan of Arc and expressed the hope that one day she would lead her people to freedom like the French saint. In 1937, she passed the Oxford entrance exam and studied at Somerville College, Oxford. At university, she was often subject to ill health and returned to India without completing her degree – though later she was conferred an honorary degree by Oxford University. On returning to India from Oxford in 1941, Indira became involved in the Indian Independence movement. Between 1947 and 1965, she served in her father’s (J. Nehru) government. Although she was unofficially acting as a personal assistant, she wielded considerable power within the government. After her father’s death in 1964, she was appointed as Minister of Information and Broadcasting in Lal Bahadur Shastri’s cabinet. Shortly after, Shastri died unexpectedly and, with the help of Congress Party President, K. Kamaraj, Indira Gandhi was chosen to be the new Prime Minister of India. 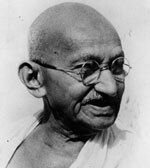 Gandhi attracted significant electoral popularity helped by her personality and populist economic measures. She introduced more left-wing economic policies and sought to promote agricultural productivity. In 1971, she led India to a decisive victory in a war with Pakistan in East Pakistan. This led to the creation of Bangladesh. In 1974, India completed their own nuclear bomb. However, in the early 1970s, partly due to rising oil prices the Indian economy suffered from high inflation, falling living standards, and combined with protests over corruption, there was great instability that led her to impose a state of emergency in 1975. In the state of emergency, political opponents were imprisoned, constitutional rights removed, and the press placed under strict censorship. This gave her a reputation for being authoritarian, willing to ignore democratic principles. Her son Sanjay Gandhi was also increasingly unpopular as he wielded substantial powers, such as slum clearance and enforced sterilisation to deal with India’s growing population. In 1977, against a backdrop of economic difficulties and growing disillusionment, Indira Gandhi lost the election and temporarily dropped out of politics. However, she was returned to office in 1980. But, in this period, she became increasingly involved in an escalating conflict with Sikh separatists in Punjab. She was later assassinated by her own Sikh bodyguards in 1984 for her role in storming the sacred Golden Temple. Shortly before her assassination, she spoke on the frequent threats to her life. “I do not care whether I live or die. I have lived a long life and I am proud that I spend the whole of my life in the service of my people. I am only proud of this and nothing else. I shall continue to serve until my last breath and when I die, I can say, that every drop of my blood will invigorate India and strengthen it.” Selected Speeches of Indira Gandhi: January 1, 1982-October 30, 1984. She also sought to mobilise Indian woman for the cause of Indian Independence. Citation: Pettinger, Tejvan. 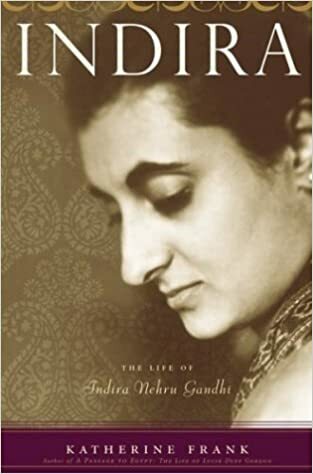 “Biography Indira Gandhi”, Oxford, UK. www.biographyonline.net, 11th March 2009. Last updated 17th February 2017.